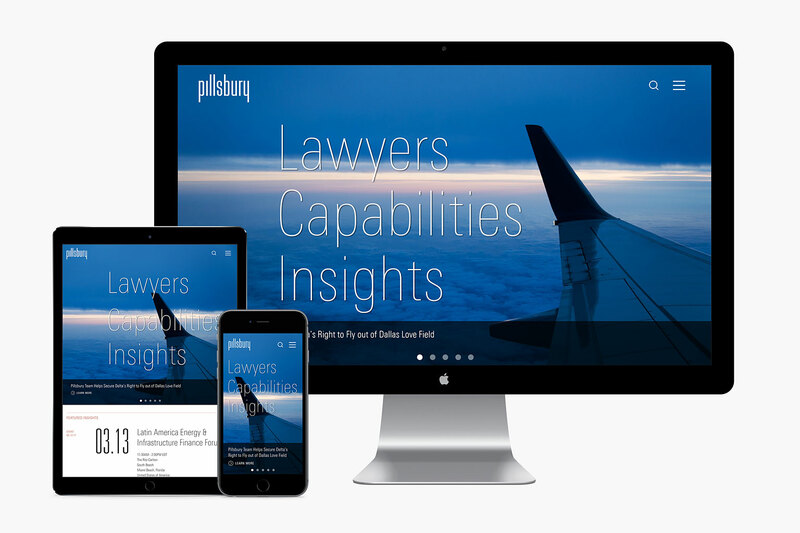 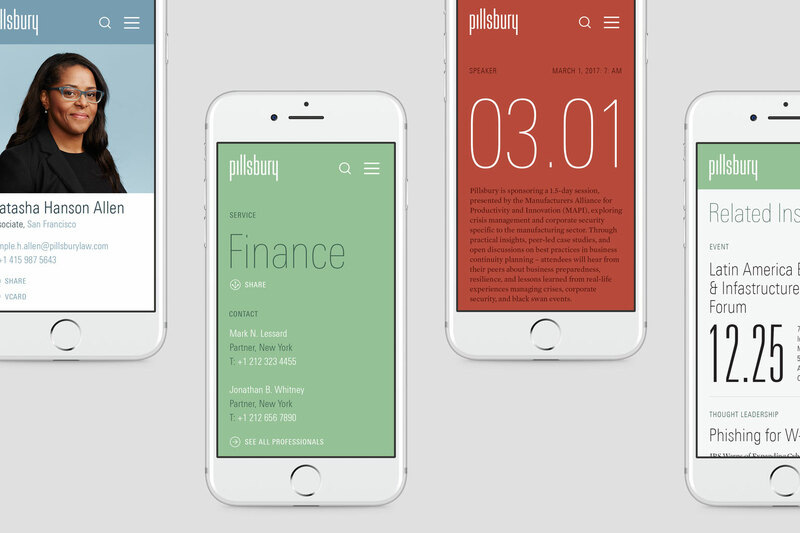 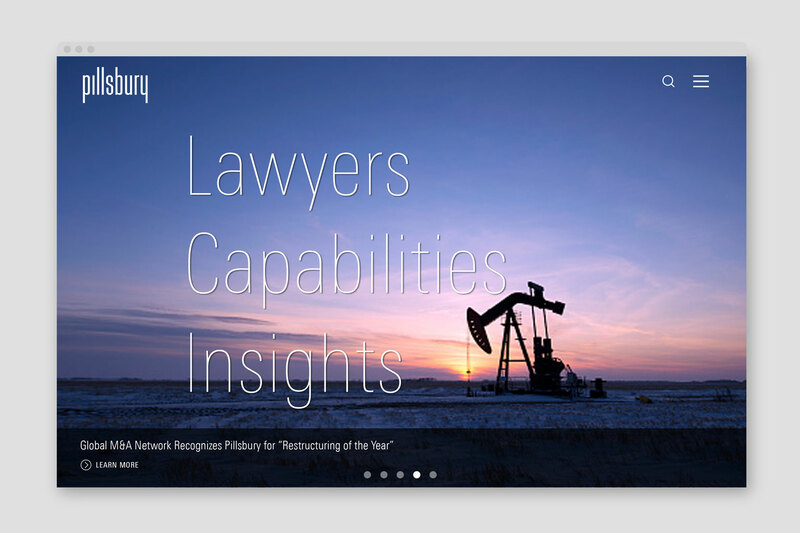 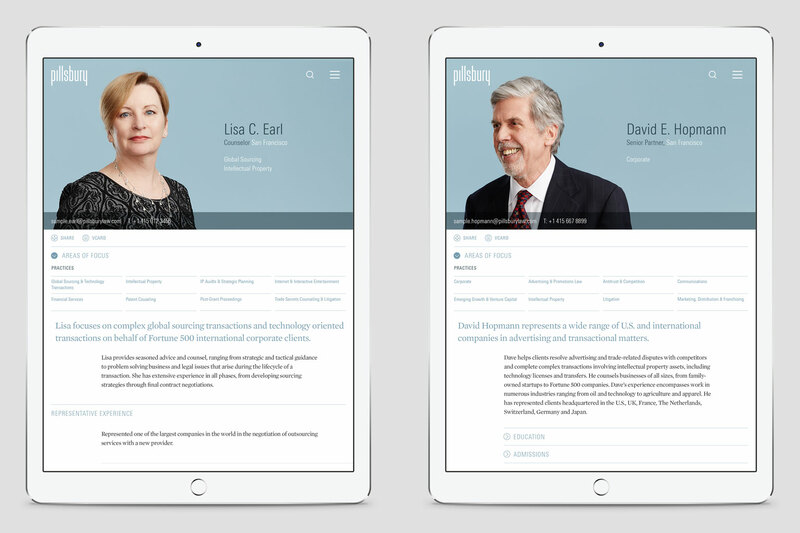 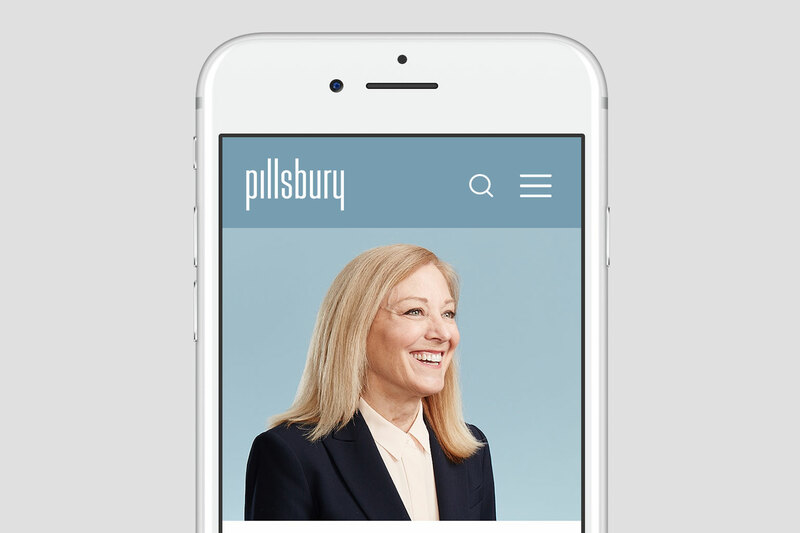 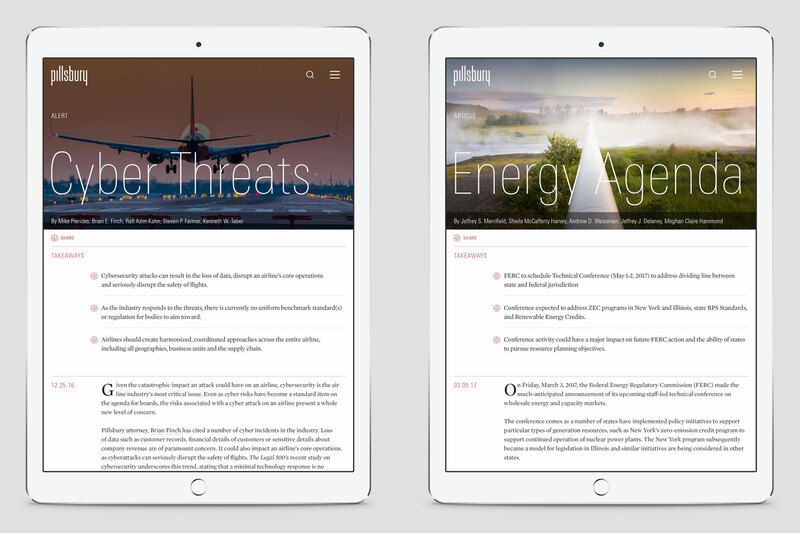 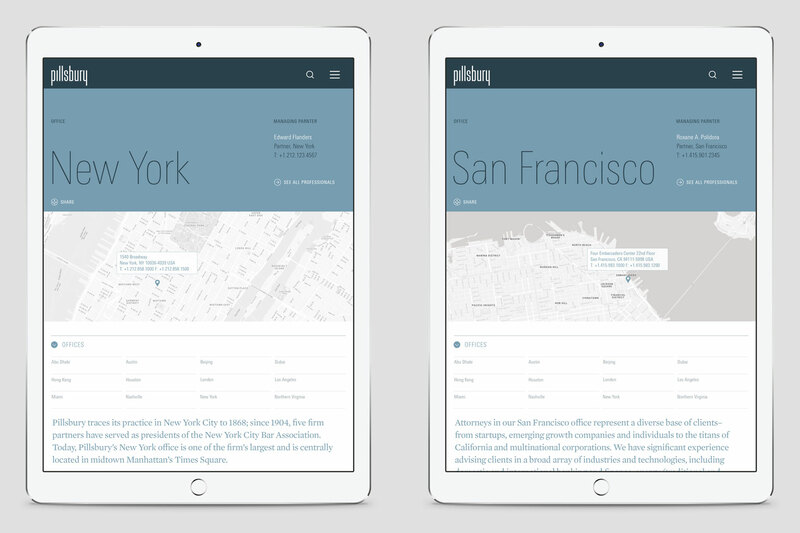 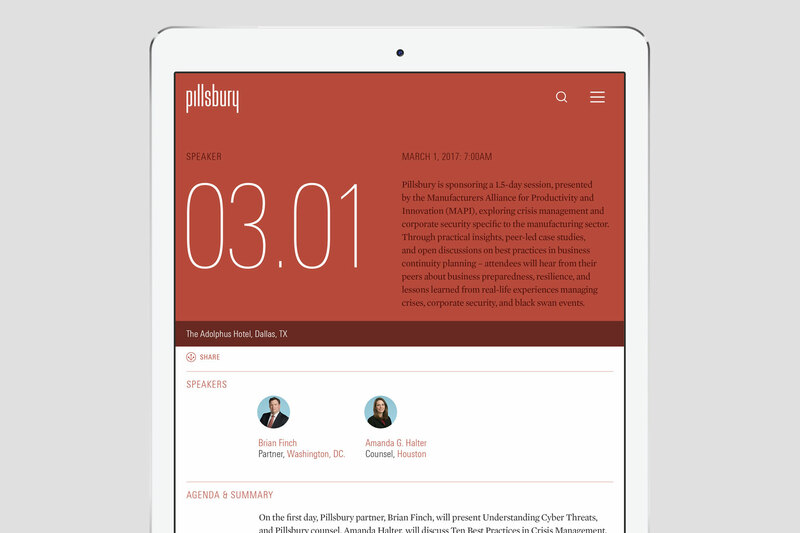 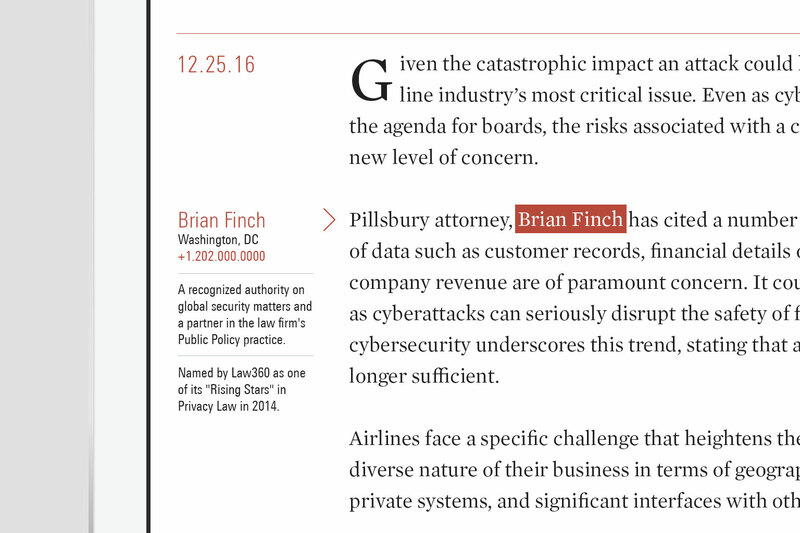 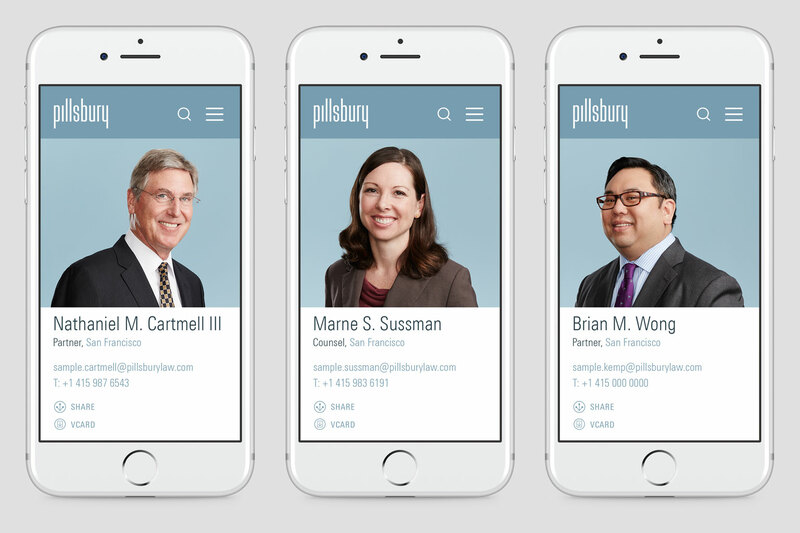 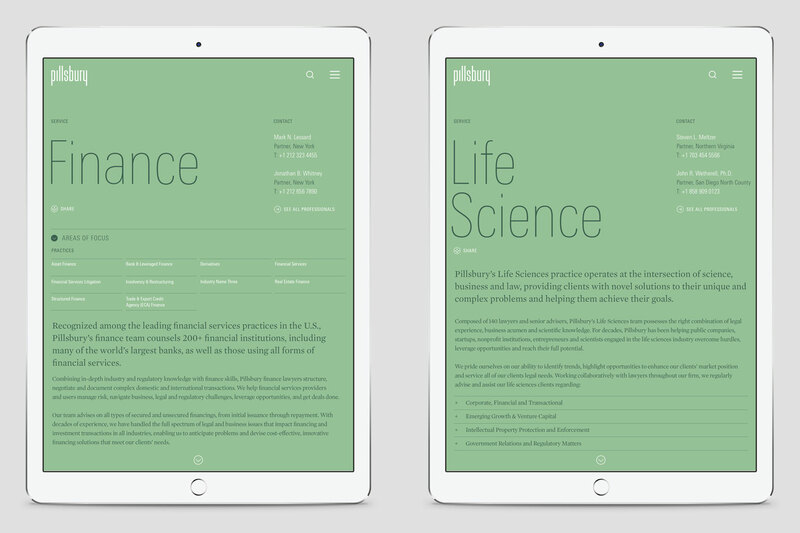 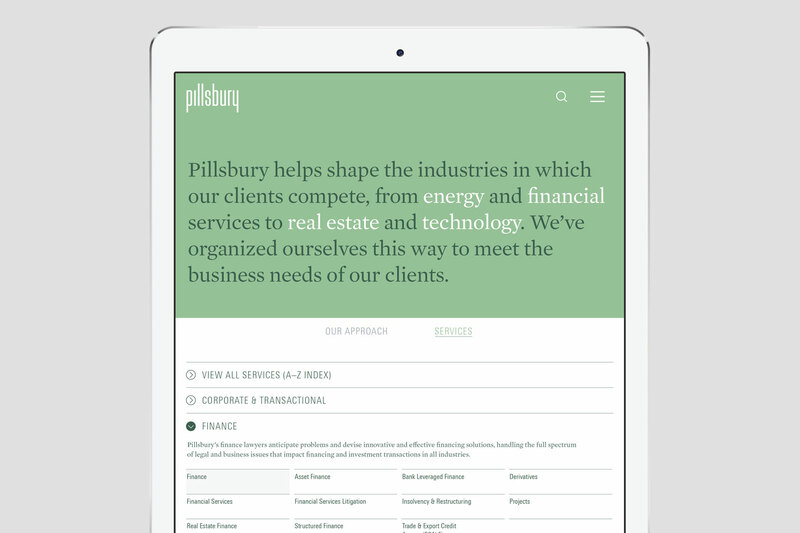 The pillsbury.com website employs a mobile-first design with a “get to the point” content strategy that seeks to balance substance with brevity. 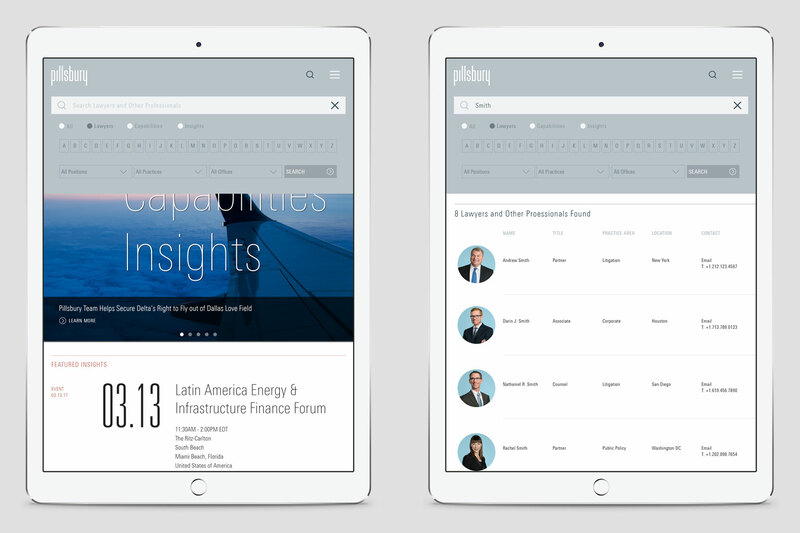 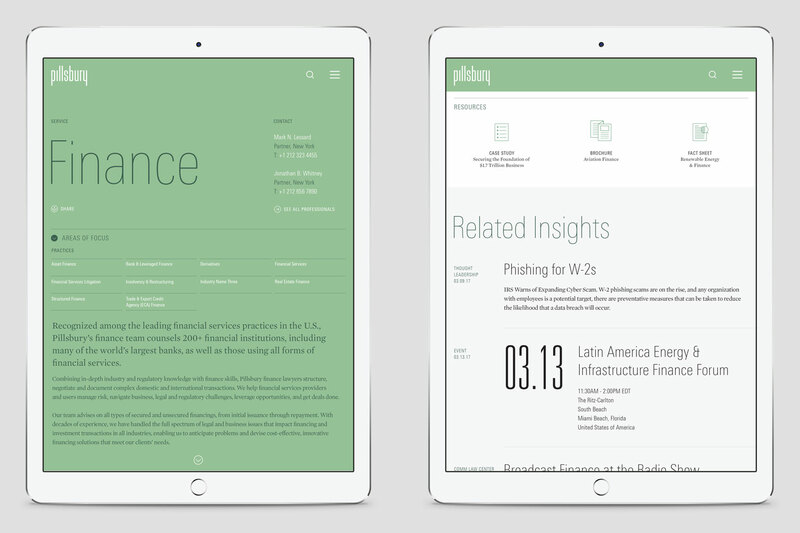 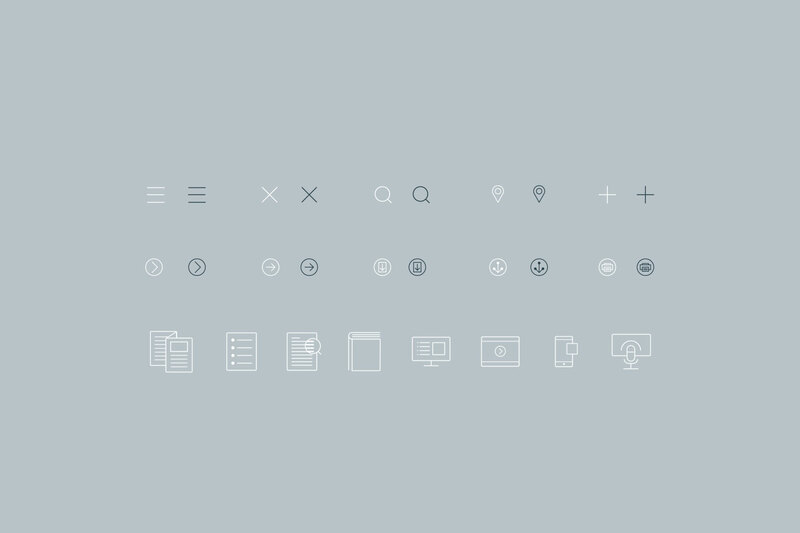 The device-agnostic solution emphasizes a prioritized content browsing experience surfacing the most critical information at the top of each page while promoting a solution intended to encourage further exploration of insights and analysis on relevant, timely topics. 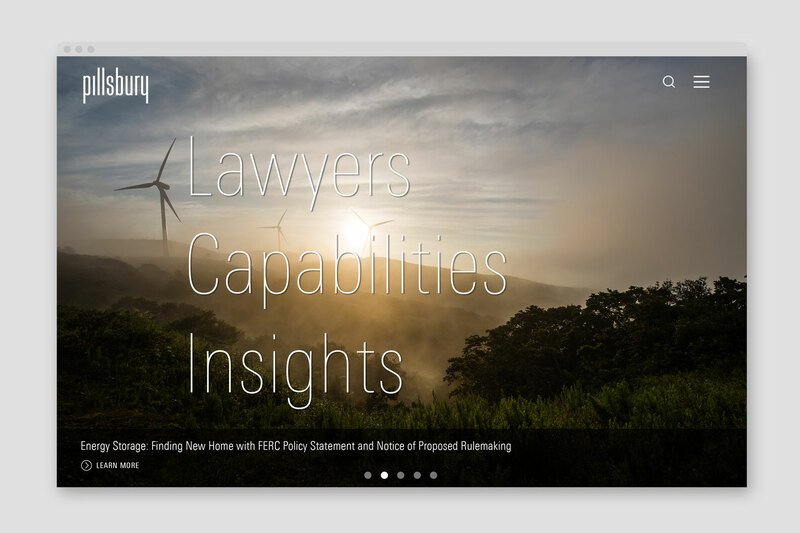 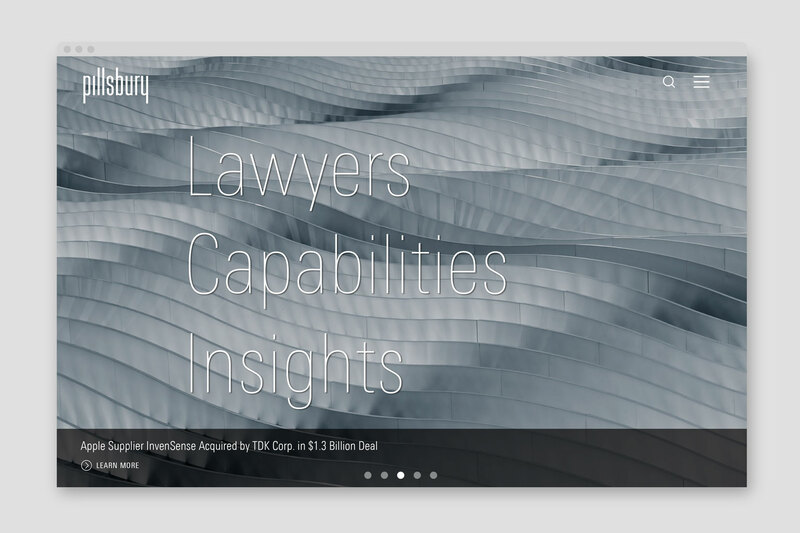 The organization and relationship of content as well as the function of the omnipresent search utility are built around three buckets: Lawyers, Capabilities and Insights.